Finally finished the upstairs plasterboard and made a start on the 18 mm chipboard guides for the upstairs under floor heating pipes (which are due to be fitted tomorrow). 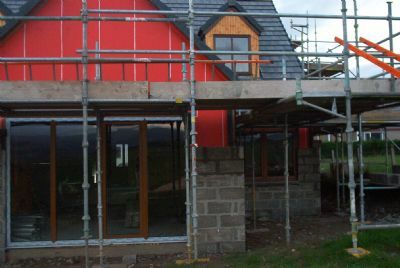 Outside the block work continues to rise up - we now have 8 rows of blocks almost all round the house. Tomorrow should see the builders moving up to work off the scaffolding. 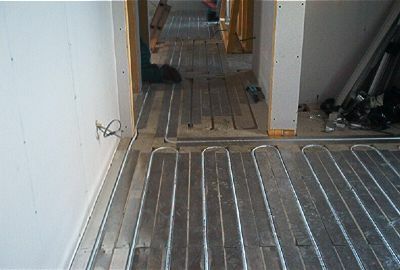 Finished the chipboard strips for the upstairs underfloor heating pipes but, alas, no sign of the engineers to fit them! 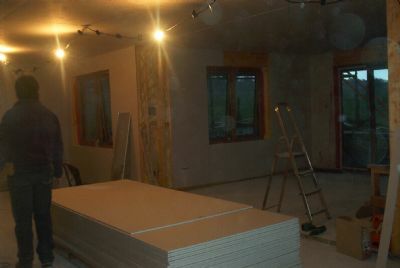 So we make a start on plasterboarding the downstairs ceilings at the rear of the house (i.e. kitchen, dining room and lounge). Continue sheeting the rear of the house till dusk. 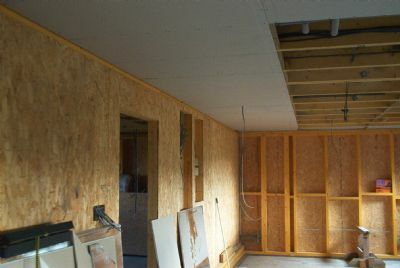 There are ample amounts of insulation behind and above the plasterboard. 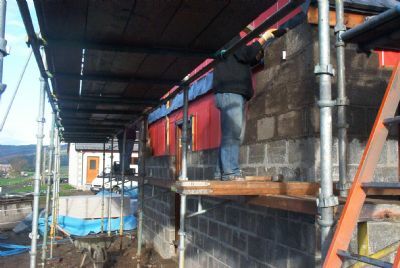 Benny and Robert continue to make great progress on the blocks - the scaffold has now been adjusted to allow them to work up from the first ring around the house. 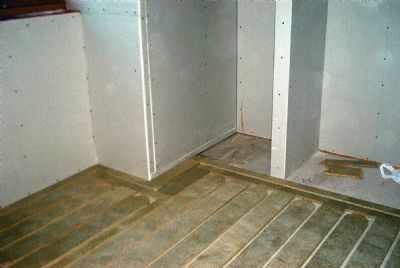 The heating engineers arrive and in no time have fitted the aluminium plates into the chipboard grooves. 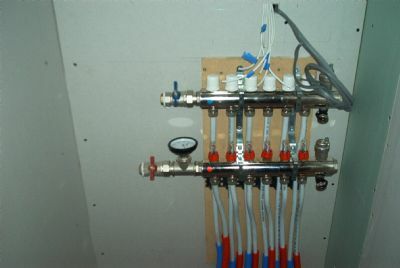 By the end of the day the three bedrooms have pipes connected back to the upstairs manifold. 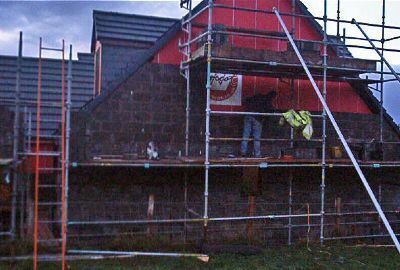 Despite the often adverse weather the blocks keep rising - soon the Norscot logo will be a thing of the past. 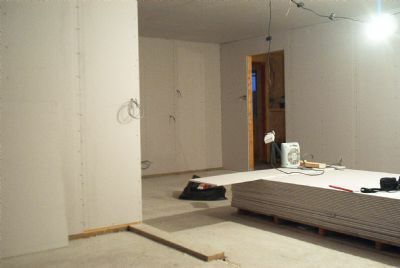 Plasterboard complete in the rear gound floor area (kitchen, lounge & dining room). 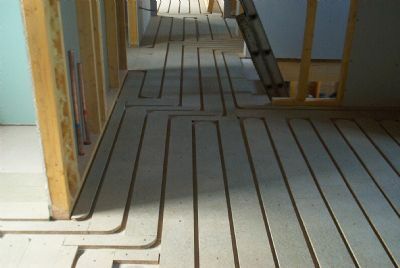 Upstairs underfloor heating pipes completed back to upper manifold; filled, tested and left pressurised.